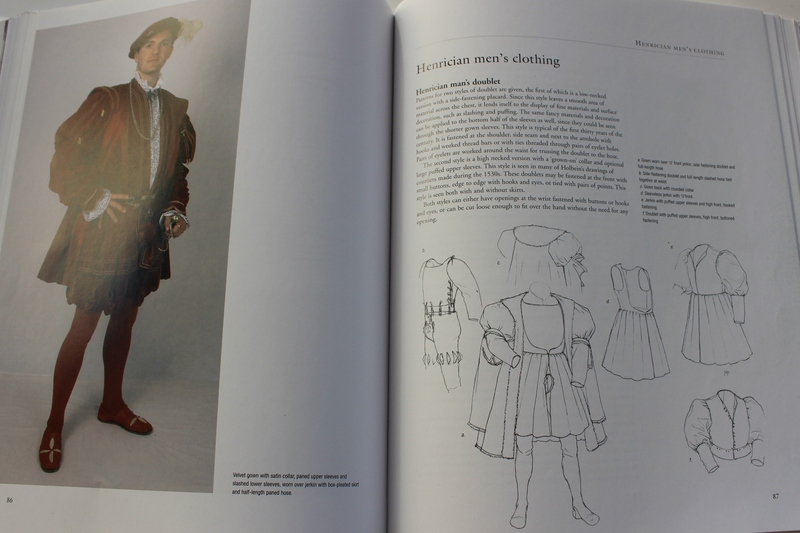 As this was one of my first costuming books, I must admit I’m a bit biased to this book. I bought it about 6 years ago when I first started to get interested in historical costumes. And since I had fallen in love with the beautiful costumes in the movie “The Other Boleyn Girl”, and later “The Tudors” i had decided I needed to make myself one of the dresses. The attempt was a futile one (which you can read more about here), but it did spark my intress in historical costumes, so I wouldn’t say it was a total waist. 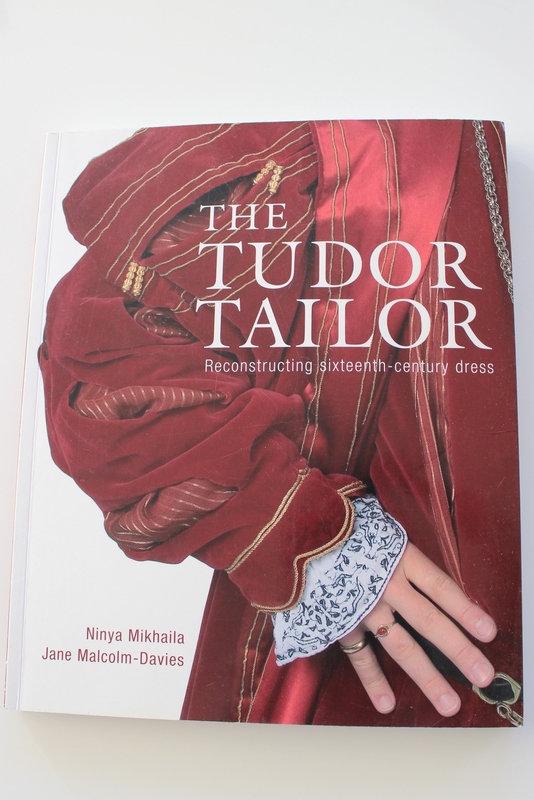 The Tudor Tailor by Ninya Mikhaila And Jane Malcolm-Davies. 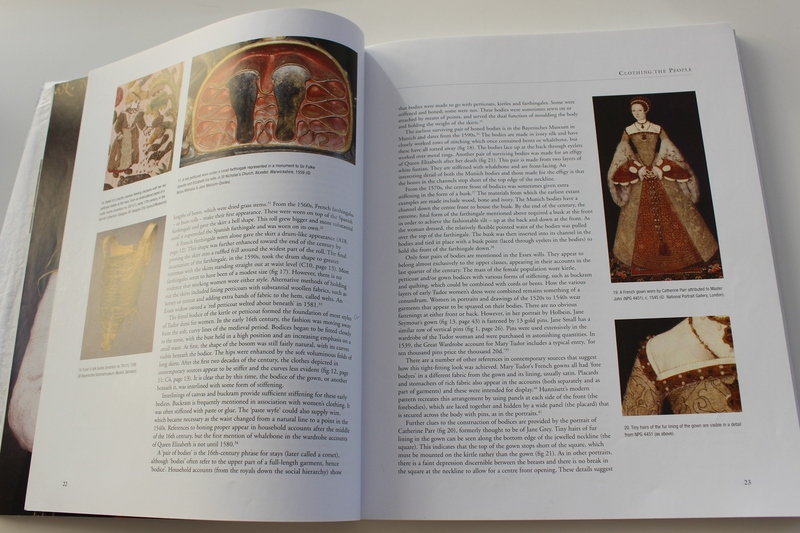 The book includes lots of interesting information about the actual fashions and clothing construction of the 16th century. 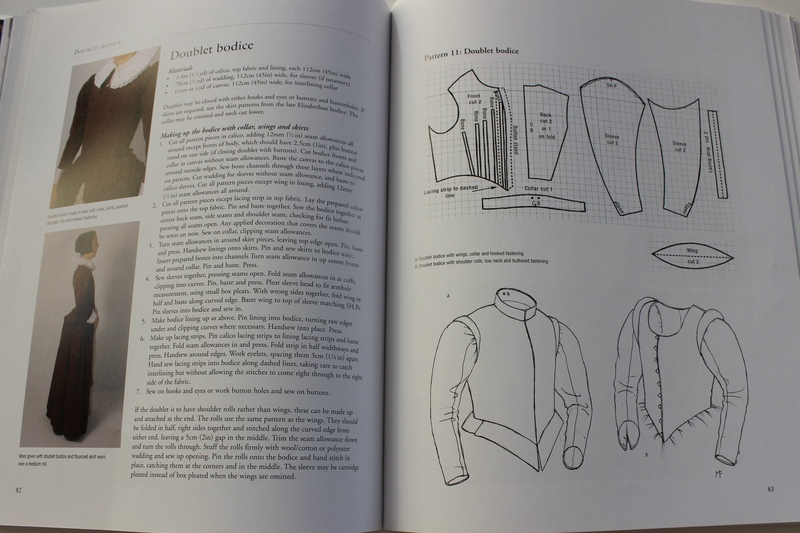 The firs 50 pages describes the styles, fabrics and methods used during the 16th hundreds, and gives you a great over view of the different garments and accessories needed to complete the costume. 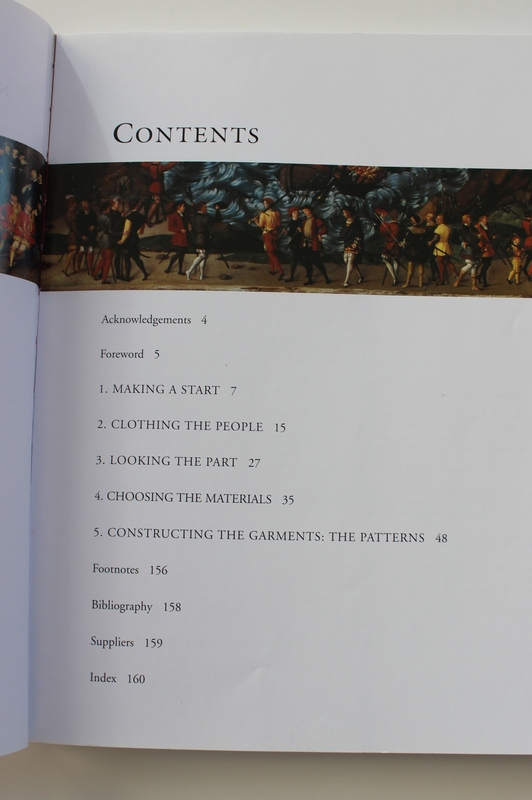 It also contains lots of patterns for both men (9) and women (12), and have a nice spread of “pore peoples” dress and court dress alike, besides underwear (9), outerwear (6) and headwear (14). I love the wide range of patterns in the book. which give you an opportunity to design and combine your own costume from the different styles, with the help of the informative research pages. And every pattern can be altered to several different styles and variations. Like the the “Henrican Kirtle” who can be made and worn in lots of different ways. 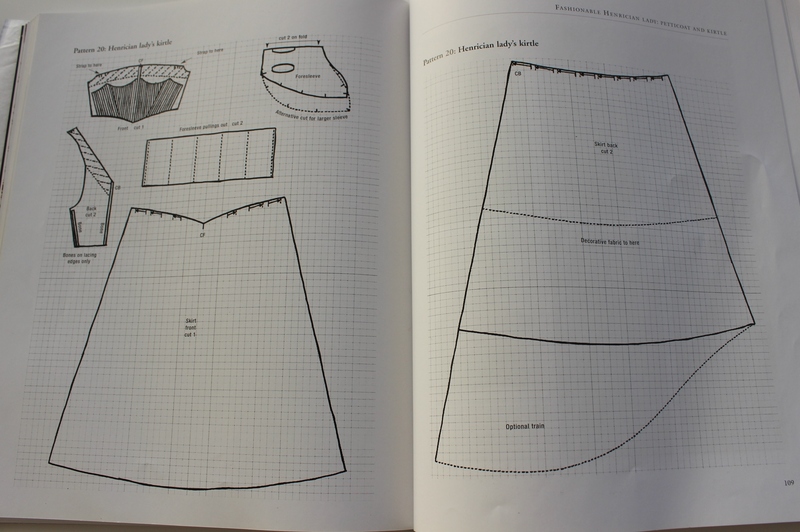 I used the pattern for a front laced kirtle, with straight back, and no sleeves. As far as I can tell (and I’m in no way an expert) the patterns are good, and represent the Tudor and Elizabethan era in a nice and accurate way. 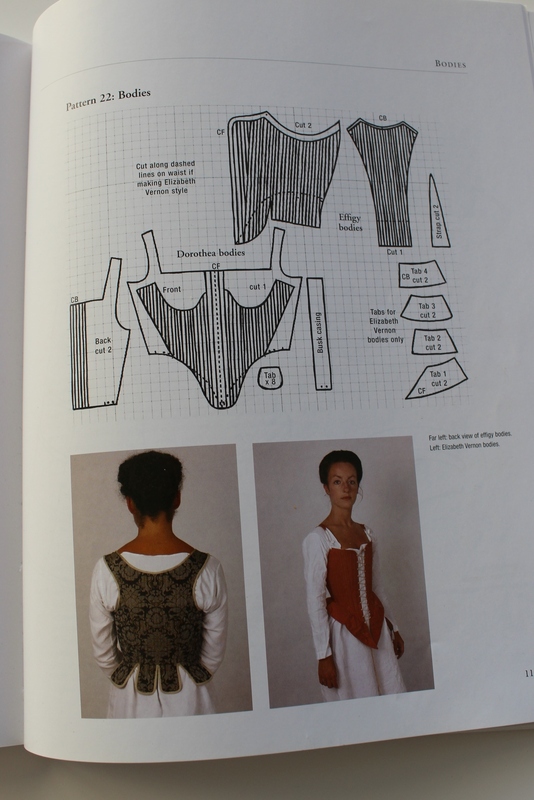 My corset‘s made from the “Dorthean bodice” pattern. This one is my latest project – which I draped insted of scaled. 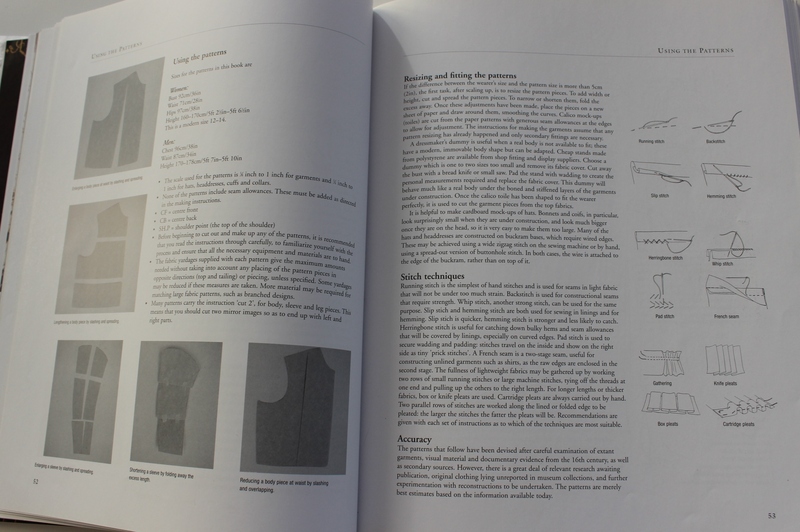 I also find the instructions, which follows with each pattern, a good way to get help with the accurate way to assemble the clothing. 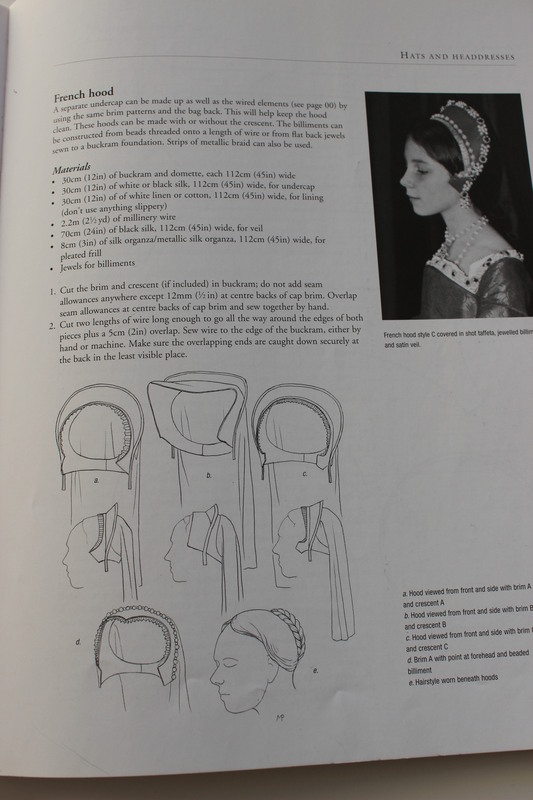 Although good, the instructions may be a bit to hard to follow, if you’re not used to historic (16th century) clothing constructions. I had a pretty hard time doing my first “French hood”. I didn’t understand what a lots of the words ment, or how the pieces was supposed to go together. The second was much easier, even though it ended up a bit to small. 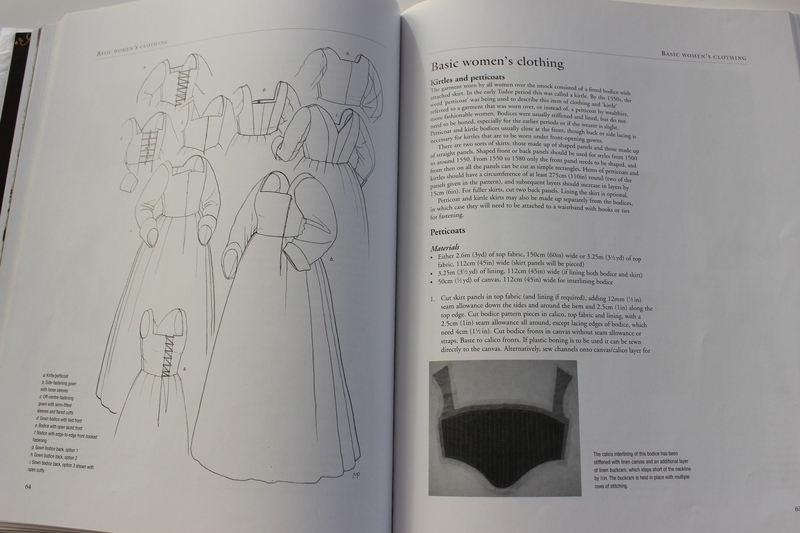 I think this book is wonderful, and should be in ever theater seamstress or historical re-enactors bookshelf. 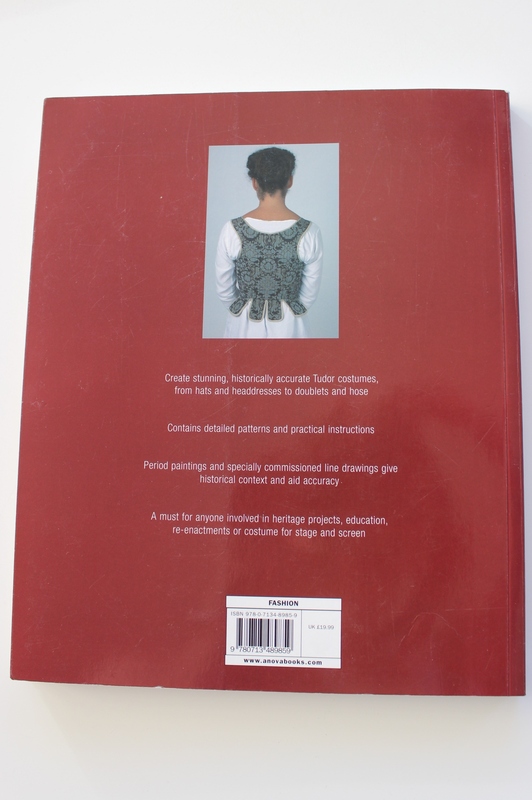 I personally have had lots of use of it and hopes to someday make all the patterns in the book.